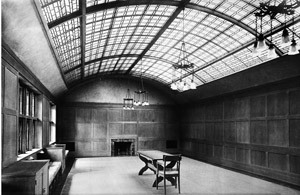 A 1918 Photo of one of Charles Lang Freer’s galleries in his home on Ferry Street in Detroit. I just want to thank you so much for the wonderful feature story on Charles Lang Freer and the Freer house in the February issue of Hour Detroit magazine. I’ve been subscribing to Hour Detroit since its inception and read each issue cover to cover. Although I generally enjoy the stories, I have to say that the piece on Charles Lang Freer and the Freer house was exemplary, both in its coverage of the subject and in its subject matter. I would love to see similar in-depth feature stories on other Detroit historical treasures several times a year and urge you to consider that possibility as a means of educating residents of southeast Michigan and opening their eyes to what we have at hand. Today at work I needed something to read at lunch, and for some reason I selected the latest issue of Hour Detroit (February). I was browsing through, and almost instinctively knew I had passed someone I knew, so I went back and realized the “someone” was Lisa Brody (and husband Gerry). Her article (“A Very Close Call”) was quite affecting and very powerful. We all go along thinking we’re invulnerable. But then we get that proverbial “wake-up call” and actually have to make a choice: Are we going to effect the changes over which we do have control, or just take what comes? It requires courage and strength to make changes — I’m so glad Lisa made the choices she did, and glad Gerry has her strength to fall back on. The story was written with a quiet sense of appreciation for her second chance that makes it all that more powerful. 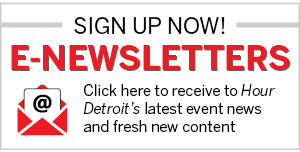 > Write us at editorial@hourdetroit.com or “Letters to the Editor,” 117 W. Third St., Royal Oak, MI 48067.